Andre Green scored a dramatic late equaliser as Aston Villa secured a last-gasp 3-3 draw to deny Sheffield United Championship top spot on Friday evening. 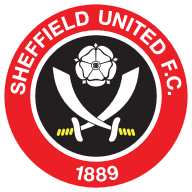 The Goal Decision System confirmed Billy Sharp had opened the scoring for the Blades (11), before the striker's 100th for the club made it 2-0 in controversial circumstances (53). He then completed his Villa Park hat-trick nine minutes later (62). Chris Wilder's side appeared to be coasting to victory, yet Tyrone Mings' first Villa goal gave the hosts hope (82) and Tammy Abraham netted his 20th of the season after Dean Henderson's mistake (86). And in the final minute of stoppage-time, Andre Green leaped at the far post to head home John McGinn's cross and complete an unlikely comeback. With the chance to lead the division heading into the weekend, the Blades started the game at a rapid speed and looked menacing on the attack, with Sharp stinging the palms of Lovre Kalinic inside five minutes. It took goalline technology to award Sharp's opener, though. Abraham looked to have cleared his sidefoot effort from Gary Madine's knockdown, but the technology showed Sharp's shot crossed the line prior to his intervention. 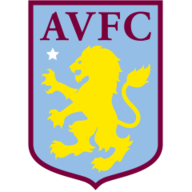 Villa weathered the storm, yet seldom called Henderson into action, and when the Manchester United loanee flapped at a free-kick from deep, right-back Alan Hutton could only blaze a half-volley over the crossbar. Dean Smith's men were very much in the ascendancy after the break, but had reason to feel aggrieved when Sharp appeared to have strayed offside in the build-up to his second, before seemingly kicking the ball from the grasp of Kalinic into the net. The year was 1966 the last time Villa lost a home league game to Sheffield United and that run looked to be coming to an end as Sharp headed home Kieran Dowell's dinked cross, but Mings' goal provided a slim, but renewed hope of salvaging something from the game. Within two minutes, the unlikely became a real possibility as Henderson fumbled Tommy Elphick's shot, allowing Abraham to tap home at the far post. Dean Smith made two changes as Albert Adomah and Glenn Whelan dropped to the bench in place of Mile Jedinak and Jonathan Kodjia. 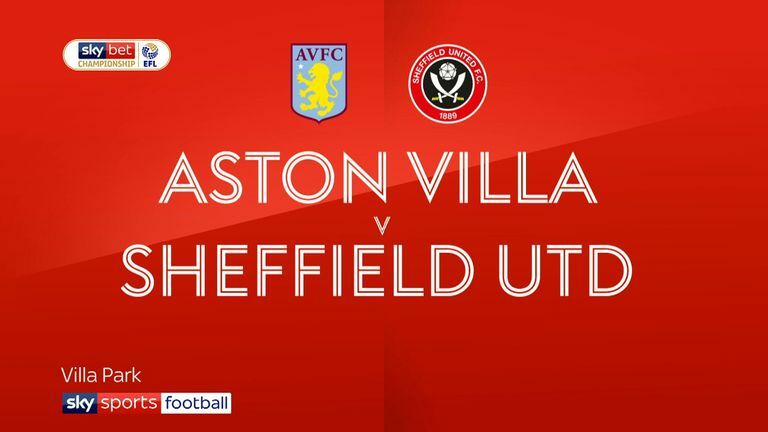 Sheffield United boss Chris Wilder made two changes to the side that beat Bolton 2-0 last time out, as Mark Duffy and David McGoldrick were replaced by Kieran Dowell and Gary Madine. Villa loanee Scott Hogan was ineligible for selection. Then, right at the death, the Holte End was sent into raptures. John McGinn got the better of Blades defender Jack O'Connell, flashed a cross over to the far post and Green - who has recently returned from a loan spell with Portsmouth - was on hand to head the ball over the line. Despite having just reached his 33rd birthday, the Championship's leading scorer Billy Sharp is showing absolutely no signs of letting up. His predatory instincts came to the fore this evening as he not only scored his second hat-trick of the season, but he reached a century of goals for his boyhood club, as well as being among the headlines for a controversial second goal. All in an evening's work. Dean Smith: "We've had a few of them here! Too many draws, as we already know. I thought we gave them a 20 minutes headstart; I don't think we got a head of steam up at all, we rushed on the ball. "They know their system very well, they are very organised, they are a good team. In the last 10 minutes, they were incredible. The spirit they showed to get three goals - and we should have had a penalty as well. 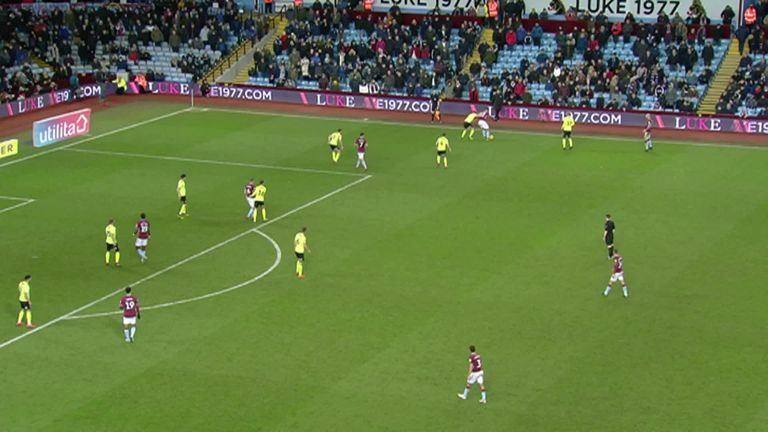 Unfortunately the officials didn't do their jobs tonight." 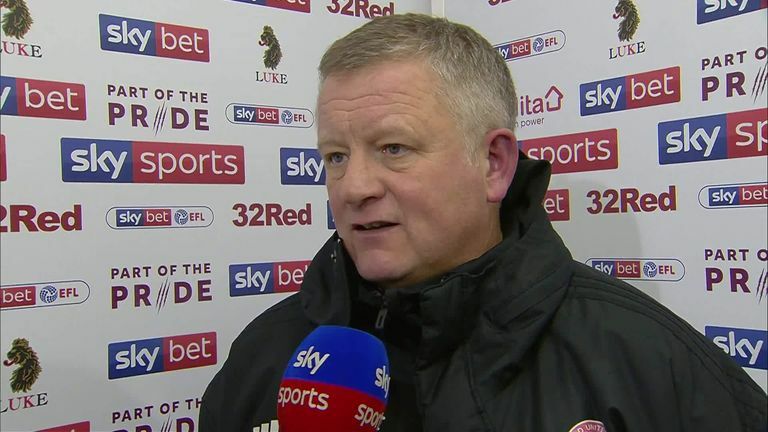 Chris Wilder: "We've come to somebody's backyard in front of 35-36,000 and totally dominated, especially in the second half. The goalkeeper has made a couple of mistakes and we've had a slash at one at the end and out of nowhere, they get a result. Should Sharp's second have stood? "You have to credit them for going to the end, but really the game was done and dusted and was lost in our changing room." Both sides are in action in midweek as the relentless Championship continues. 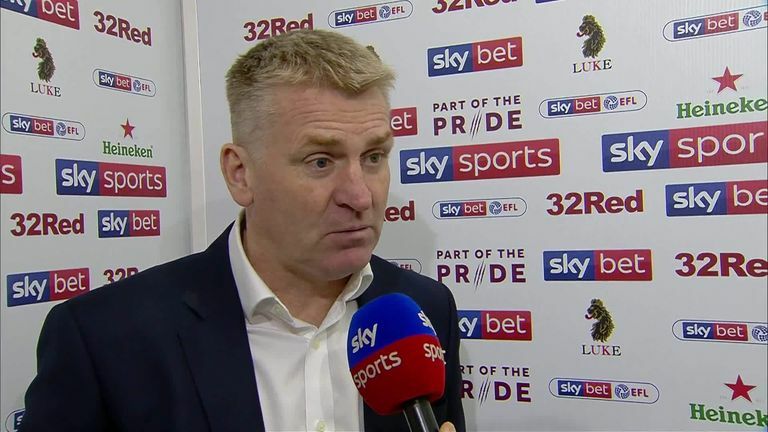 Dean Smith returns to Griffin Park for the first time as Villa take on Brentford on Wednesday evening, in a game live on Sky Sports Football, while the Blades host Middlesbrough on the same night, live on Sky Sports Action.